If you want to have the perfect mascara for everyday usage and want your eyes to be beautiful and pain free, forget this Physicians Formula brand for sure. 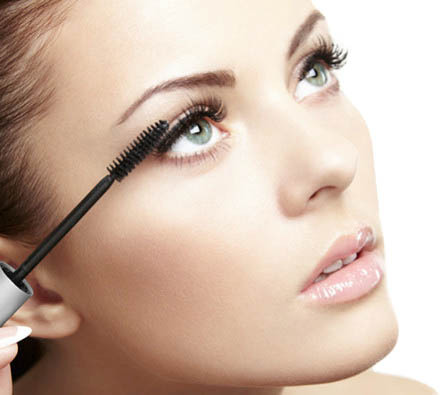 Herewith my review about Physicians Formula Organic Wear Mascara. This was my first so called ”organic” mascara, that I tried out. When I applied the mascara, I immediately sneezed, that’s the last thing you want when you’re applying mascara. I always sneeze when chemicals are in the air so that was not a good sign. I got tears in my eyes and this mascara dropped into my eyes because of that. It burned really bad and I couldn’t see anything. I immediately rinsed my eyes, but it didn’t work so I sat down with a wet towel on my eyes for a couple of minutes until the mascara was completely off my eyes. After this experience my eyes burned the whole day. No way that this is anywhere near organic. This brand should be taken off the market at once. Our advice do not buy this product or any other products of this brand, they are not honest about their ingredients at all. And watch out for reviews on the internet as they could also be false. Lots of women/men are being paid to give false reviews. Be aware. Citrus Aurantium Dulcis (Orange) Fruit Water*, Glycerin*, Iron Oxides, Microcrystalline Cellulose, Glyceryl Stearate SE, Beeswax*, Jojoba Esters, Copernicia Cerifera (Carnauba) Wax*, Tapioca Starch*, Oryza Sativa (Rice) Extract*, Stearic Acid, Glycine Soja (Soybean) Oil*, Olea Europaea (Olive) Leaf Extract*, Aloe Barbadensis Leaf Extract*, Cucumis Sativus (Cucumber) Fruit Extract*, Cellulose Gum, Glycerin, Magnesium Aluminum Silicate, Glyceryl Caprylate, Leuconostoc/Radish Root Ferment Filtrate May Contain: Titanium Dioxide. Why is this a dangerous mascara and why are almost all mascaras bad today? I purchased this mascara many years ago and long before I knew all about ingredients and long before I knew about deliberate false marketing. But now when I look at the list of ingredients, I realize how misinformed I was for purchasing this mascara. The first dangers from this mascara are coming from the fact that it contains nanoparticles. Two ingredients used in this mascara that always contain nanoparticles are: the ingredient Titanium Dioxide and the ingredient Microcrystalline Cellulose. This on itself is already an attack on our whole system including an attack on our DNA. The truth is this chemical ingredient is useless but used anyway to make everyone really sick. It is used as a chemical pigment and as a thickener. It does nothing good for anyone but it is still largely used in your daily products. Side effects: Titanium dioxide nanoparticles may lead to neurological dysfunction, genetic disorders and it changes our DNA right away, and last but not least: cancer. Used as a thickener and as a pigment in make up and in tattoo pigment, styptic pencils, sun lotions, vitamin pills, used in all pharmaceutical tablets/pills, capsules and more. Used in food, candy and more. And used in paints (also known as titanium white). Microcrystalline Cellulose (MCC) is a term for refined wood pulp. Looks like a fine white to off-white powder. It is commonly used as cheap filler and has harmful effects on our body. This product is mainly used as a texturizer, an anti-caking agent, a fat substitute, an emulsifier, an extender, and a bulking agent in pasteurized cream, fermented milk, cheese, processed fruit, dried vegetables, etc. It is also used in vitamin supplements or tablets and now found in make up as well. Side effects: You may experience gas and bloating. Leaky gut. Other reported side effects include depression, forgetfulness, lack of energy, and headaches. Skin rashes, irregular heartbeat, and loss of hair, due to an allergic reaction to Microcrystalline Cellulose. A gum used as a thickener, suspension agent, or used for coloring. It contains Aluminum (pronounced and spelled “aluminium” in Europe) which can build up to toxic levels in the body and silicon which has been shown to be harmful to the respiratory tract. Common routes of exposure include antiperspirants, deodorants, make up, food, aluminum-based household products, dental fillings and vaccines. It is used in all vaccinations and it is a very dangerous and again a not at all needed ingredient. This ingredient has nothing to do with natural clay as some people want to falsely inform you on the internet. Why are all these chemicals and nano particles used? All these chemical ingredients are used to make big pharma very rich. (the same goes for all chemical ingredients which are used today) By deliberately creating these new diseases, the hospitals, doctors and dermatologists will be able to make a lot of money. And in this case the manufacturer of this mascara has also used hidden dangerous ingredients. And he lied about organic ingredients being used. Nothing is organic about this mascara for sure. Our lesson: When you do not know or trust the manufacturer do not buy their products. Our cells cannot stop the micro-nano particles from entering them, and once there, they attack and destroy our DNA and basically clog up tiny places in our bodies. As these particles are so tiny, they bypass our body’s own protective barriers. Meaning our body is clueless and does not know what to do to stop these nanoparticles from entering our cells and from damaging our DNA. We are not able to protect ourselves from these tiny dangerous nanoparticles. Nanoparticles take over our organs and system and we will loose our ability to heal ourselves. It causes inflammation in our body and this will cause diseases of all kind. It triggers auto immune reactions and creates all these dangerous auto- immune diseases no one has ever heard off before. In this case when used in make up our eyes and head will be attacked badly. But even when used on our head or eyes, nano can enter through our skin and flow around in our body to enter all our cells. So even when you apply it on your head you could have a reaction on your legs and visa versa. I have just read a story from an ayurvedic doctor who cured a patient with herbal solutions after she found out that the kidneys of the patient where filled with nanoparticles. The kidneys where damaged and not active anymore. It was either a kidney transplant or her herbal solutions to detox this nano out of the body of the patient. And she succeeded as her patient was cured naturally, but we better prevent it all. The only way to remove these dangerous nanoparticles and chemicals is to detox regular with the right products. And we need to be aware of what products we use, and what food we eat. You can use our Aloe Arborescens recipe, Charcoal, organic Black seed oil and our organic Essiac tea to detox and to boost your immune system at the same time. We hope you will learn more about ingredients as that is the only way to understand why we have health or skin issues. But finding a good organic mascara is very difficult and we finally found it but it was not easy. We will guide you to the best make up products on our website. After years of searching, we found the best organic and safest make up brands in this world. All nano free, non GMO and proven organic. Do not settle for less, it is your health and beauty that is on the line. Make up should make you more beautiful without creating a bad skin or without having painful eyes. We have tested our brands ourselves and we can tell you forget all the other fake organic brands. Most brands lie about their ingredients and they do not inform you about the use of nanoparticles. Besides that they use GMO ingredients and call their brand organic. We know now that they hide ingredients, meaning they do not inform you about every ingredient they use on the label. There is no one in the world checking these companies and correcting them so therefore we have to learn as much as possible ourselves. The FDA is owned by Monsanto so do not expect them to protect your health. That is why we started this website to show you the best products as today almost every product is attacking our skin and health. Meaning really everything what you buy in your local shops or online. It is a chemical war played out on us. Please note: When it is not specially mentioned that the product is without nanoparticles, you know for sure they use nanoparticles. When we do not buy their dangerous products anymore, they can stop producing them and we create a better world for all of us. You will find the healthiest products in the world on our website and we keep on adding them as we have found so many truly amazing products. We hope we can assist you with all your natural solutions from now on. My review about a hair mask that made my hair look amazing!